All season tire is one of those things which make people think over and over again to buy it. Not only that it is usually expensive, but it also has some different specifications in every of your usage. In this case, we have the Hankook Optimo H426 as one of the grand touring and all-season tire which is invented by the Optimo company for the original equipment use on the sporty sedans. Optimo H426 is designed specially for the sporty vehicle which means the tire in overall needs to endure a high-velocity movement by those vehicles. What you expect from Optimo H426 won’t end in vain because it has proved its quality in many of its users with the attractive looks, predictable handling, and year-round traction.So if you are interested with Hankook Optimo H426, let’s get the explanation below. The technologies in the tire are usually what make the tire special and different from other. The standard of Optimo H426 itself is pretty high with many exciting features like its twin steel belt which is made from the combination of reinforced nylon and steel. This ensure the tire to have a stability and cushion when you ride it. The second feature is its rib type shoulder block which helps in maintaining the stiffness and dry grip. The difference of this shoulder block to other tires is about its cuts which are larger between the tread block. The block itself is in shape of diamond which gives the lateral support in wet performance while also maintaining its stiffness for dry handling. Other features are the four circumferential grooves and the optimized computer profile. The performance of Optimo H426 is very solid and quite impressive on the first drive. It brings such smooth and cushion ride even if you do it in high speed and every various road conditions. It is also very quiet and not giving too much disturbing to the passengers. Optimo H426 also provides a very decent grip, and it gives a good traction in either dry or wet condition. 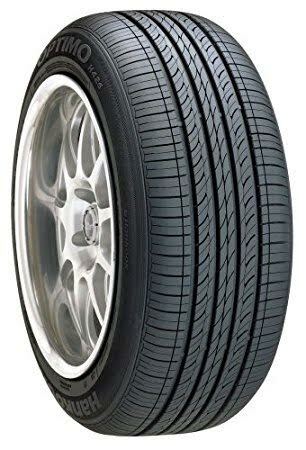 The lateral grip is nothing special and rather moderate, but the ride quality is what makes this tire bought by classical vehicles especially an expensive one as it brings what most of the people want, the comfort and nice travel in high speed without needing to worry about having a tire problem. As a global leader in tires, Hankook Tire offers drivers an incredible line of high performance, light truck, SUV, and passenger tires for a number of different driving environments. The performance of Optimo H426 is not that special and rather average, but it has significant benefits when used for the comfort aspect. People who love this kind of tire which will give maximum comfort need to look for this tire as it is one of the best in this aspect. Absorbs shock coming from the road for better ride comfort. Provide stable steering and also cornering. For improved steering response and also handling performance. Computer-optimized profile that enhances handling performance. Improves water evacuation performance resulting in better wet traction and grip. Supports traction performance by enhancing water evacuation on wet surfaces while maintaining stiffness for dry handling. Check the best price for Hankook Optimo H426 here!